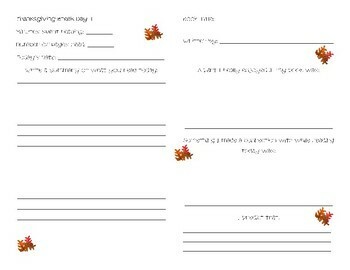 Reading logs are a wonderful way to encourage students to read. 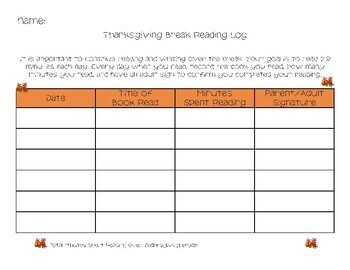 This reading log is specifically for Thanksgiving break. I hope you enjoy!